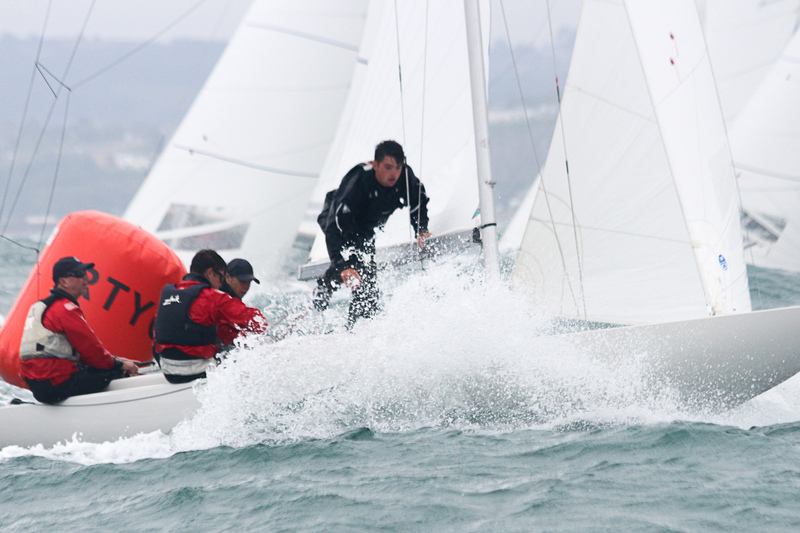 Lumpy seas and a blustery north easterly breeze produced exhilarating racing on the opening day of the 70th Edinburgh Cup at the Royal Torbay Yacht Club. 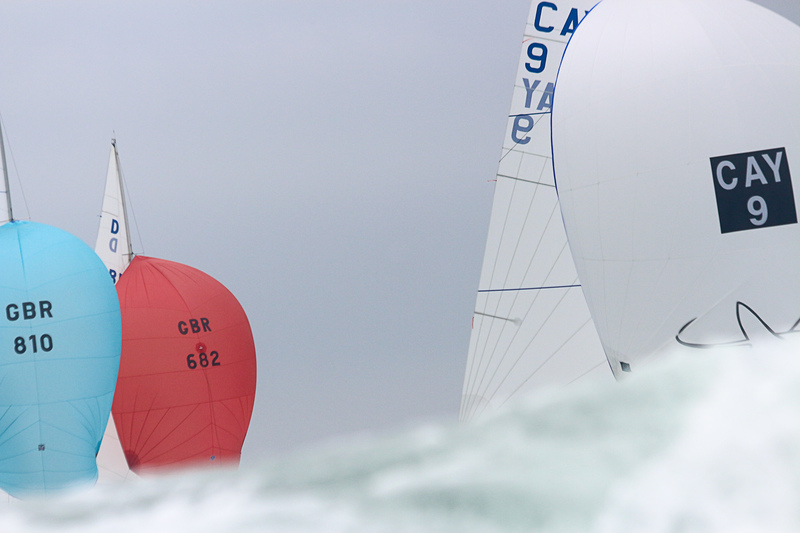 The fleet was overly enthusiastic in the first start, which led to a general recall, with the restart under a U flag. The fleet got away cleanly at the second attempt, with Simon Barter’s Bertie closest to the pin, next to Wolf Waschkuhn’s 1quick1 and Klaus Diederichs’ Fever. 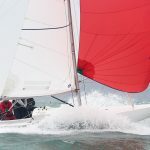 Grant Gordon’s Louise Racing started mid line, accelerating almost immediately to a length ahead of the surrounding boats. 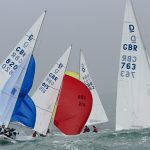 On the 1.9 mile first beat most of the fleet stayed towards the left-hand side of the course, a strategy that largely paid in the lighter conditions of the South West Championships over the previous two days, although a few brave skippers broke away to go hard right. 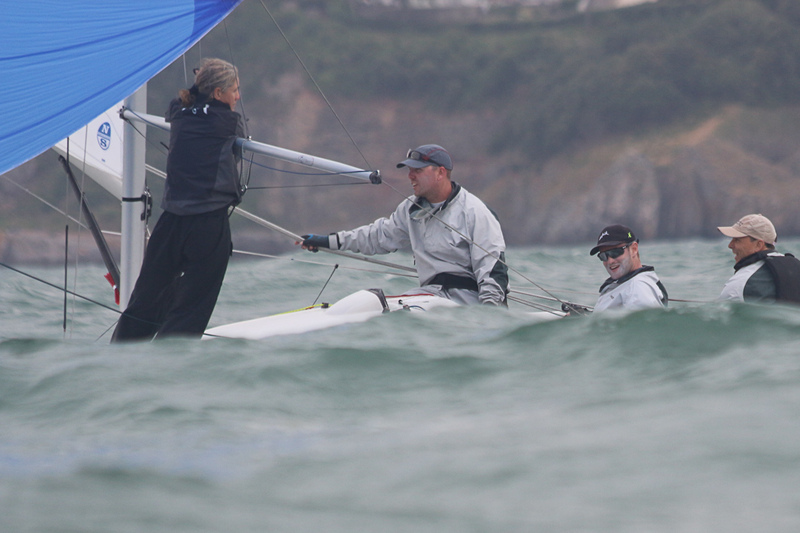 Laurie Smith’s Alfie held the lead at the windward mark, ahead of Tom Vernon’s Badger and Louise Racing. 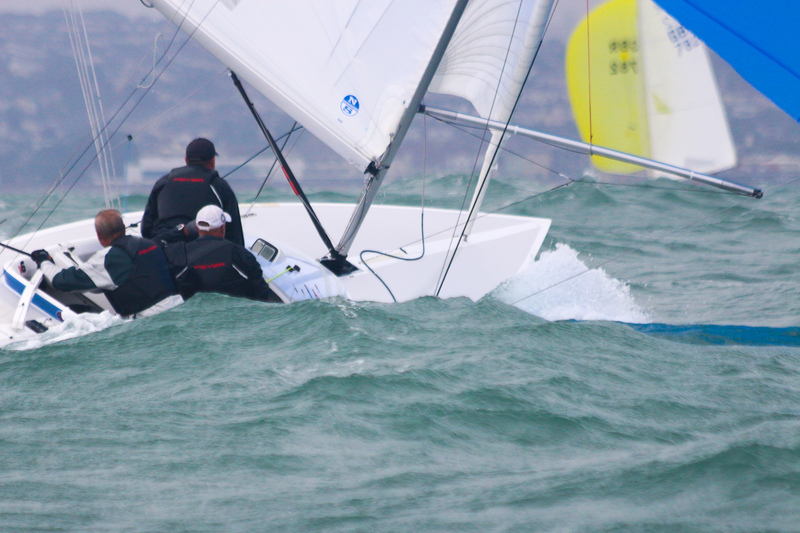 However, by halfway down the first run the latter had over-hauled Smith and pulled out a three-length lead. 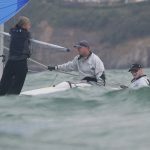 There was an even split among the leaders at the leeward gate, with Louise Racing, followed by Graham and Julia Bailey’s Aimee turning left, and Smith and Diederichs turning right. 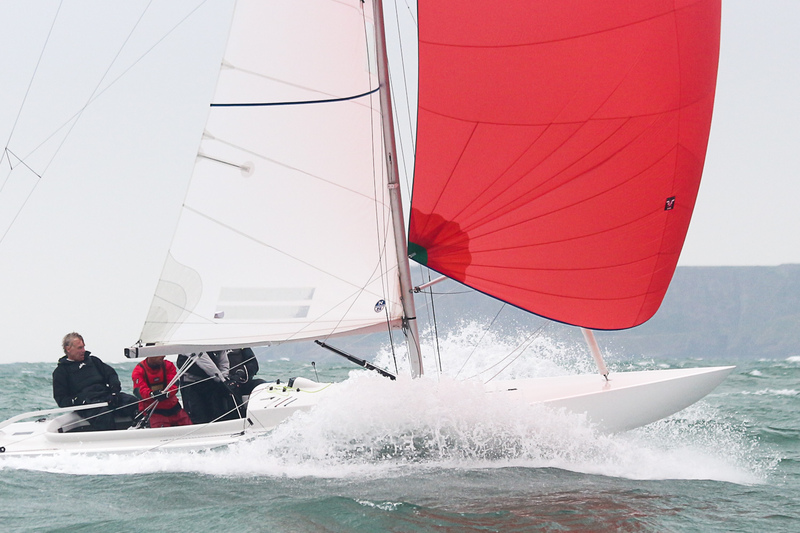 The racing mid-fleet was even tighter than for the leaders – 10 boats finished the first lap almost simultaneously. Louise Racing maintained the lead to the finish with Aimee second and Alfie third. PRO Bill Butcher used the U flag again for the start of the second race, which led to two competitors – Colon Brereton’s Tsunami and Martin Bryne’s Jaguar –being scored UFD. Smith was first at the end of the first beat, followed by Gordon and Bailey. 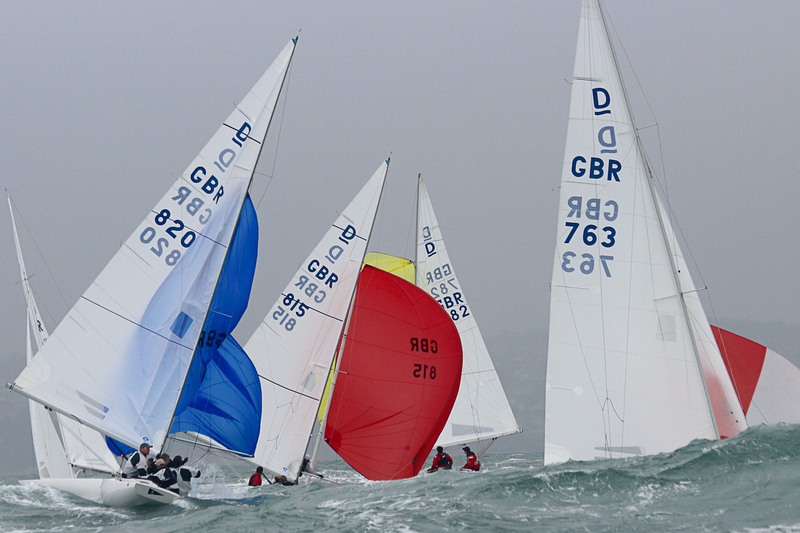 They rounded a good margin ahead of fourth-placed Owen Pay’s Furious and Bertie in fifth. By the end of the second beat Aimee had pulled into the lead, ahead of Alfie. 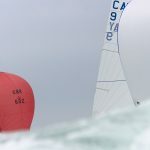 Louise Racing slid down to third place, just staying ahead of Bertie, after tacking just inside her on the starboard layline on the approach to the mark. 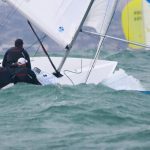 With the wind building further the leaders worked their boats hard on the downwind legs and were rewarded with long and exciting surfs. 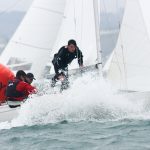 The lead repeatedly changed as Aimee and Alfie alternately surfed past each other, though the former held the lead at the final leeward gate. Aimee extended further on the beat to finish, crossing the line with a 42 second advantage on Alfie. Louise Racing took third place and Bertie fourth. After two of the six scheduled races Aimee is leading overall on three points, with Louise Racing second on four and Alfie third on five points.